You now won't need to upgrade to the latest iPhone 6S to get some of the features the new phone offers... if you're willing to jailbreak your iPhone. 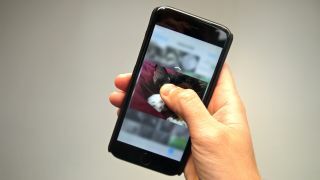 Live Photos and 3D Touch are both available after the first jailbreak release for iOS 9, but both are a little different to the full experience. To get 3D Touch in full it needs the pressure sensitive screen of the iPhone 6S screen to work. Instead a hack called Forcy allows you to activate quick actions by swiping up on an app - likely with a longpress too. There's also another hack available called UniversalForce that adds support for the same functionality within apps - that means you can swipe up to access quick actions within iOS apps. Another hack called Live Photos Enabler also lets you create the moving images on any iPhone, not just the 6S. There's no need for a hardware upgrade here, it's just taken directly out of the iOS 9 software. The hack is still quite recent and some are reporting that it doesn't work, so don't expect the experience to be smooth. There is also a third hack called Hapticle to make the phone vibrate when you activate any of the quick actions. Don't expect full functionality from any of these methods though – if you really want these features we'd recommend upgrading to the iPhone 6S. You're also going to void your warranty if you jailbreak your phone as well, so be warned of all the problems it can cause in the long run.